Are you happy with your garden? Would you like to make changes but don’t know where to begin? 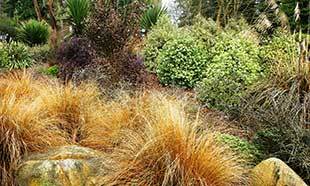 Do you feel overwhelmed when selecting plants? 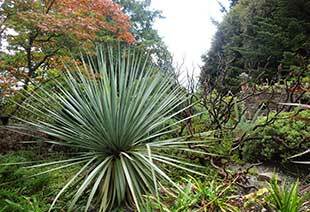 The Puget Sound area has an abundance of botanical gardens that offer both pleasure and edification. Several of our local treasures are described in this article; others are noted that are equally worthy of your time and attention. Autumn in the UWBG Woodland Garden. 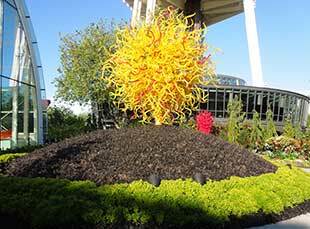 New Zealand preview garden at UWBG offers design ideas translatable to Northwest landscapes. What plant is this? 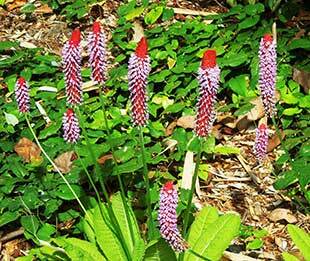 Easily readable plant tags at UWBG tell you it’s Chinese native Primula vialli. The BBG Rock Garden has a fabulous display of conifers suitable for home gardens. Restored woodlands at BBG features treasures large and small, including this Oregon fawn lily. 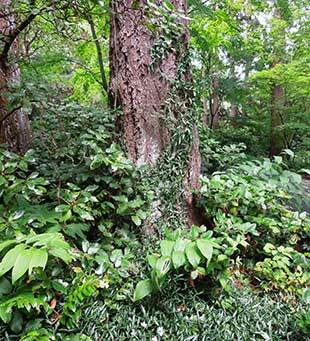 The Miller Garden’s upper woodland combines the familiar (Douglas Fir) with exotic treasures. A sophisticated blend of form, color, texture, and scale on the dry bank of the Miller Garden. 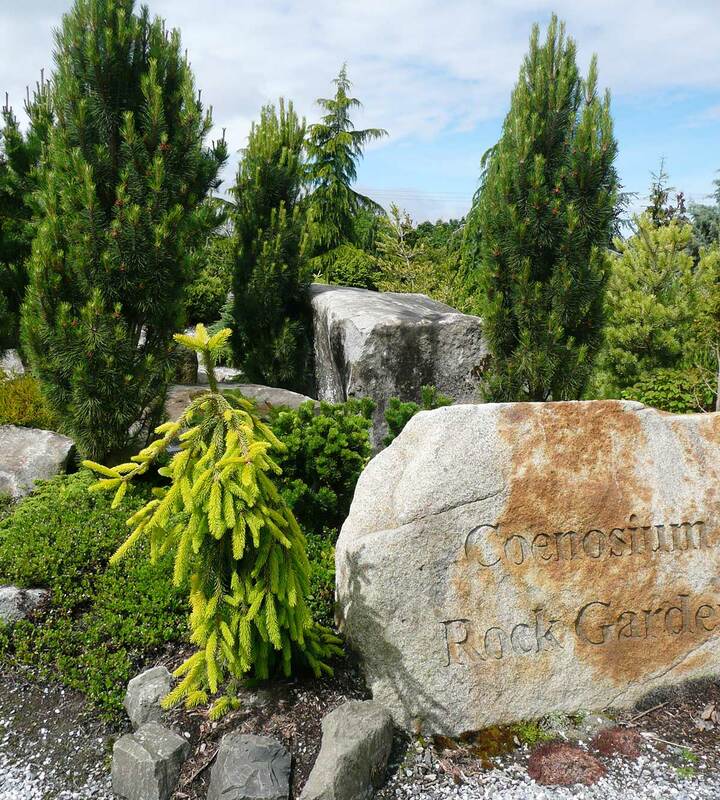 The Coenosium Rock Garden, part of the South Seattle Community College arboretum, houses an outstanding collection of conifers. Tranquil scene at PowellsWood in Federal Way. 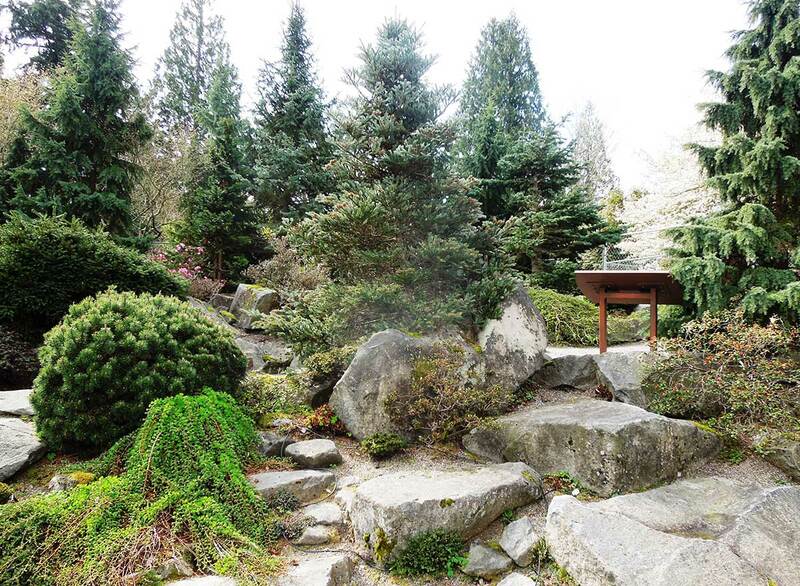 The University of Washington Botanic Gardens (UWBG) comprise the Washington Park Arboretum, Center for Urban Horticulture, Union Bay Natural Area, and Seattle Japanese Garden, along with the shoreline of Union Bay that connects them. At 230 acres, the Washington Park Arboretum, referred to locally as “the arboretum,” is the jewel in the crown of the Puget Sound region’s botanical gardens. 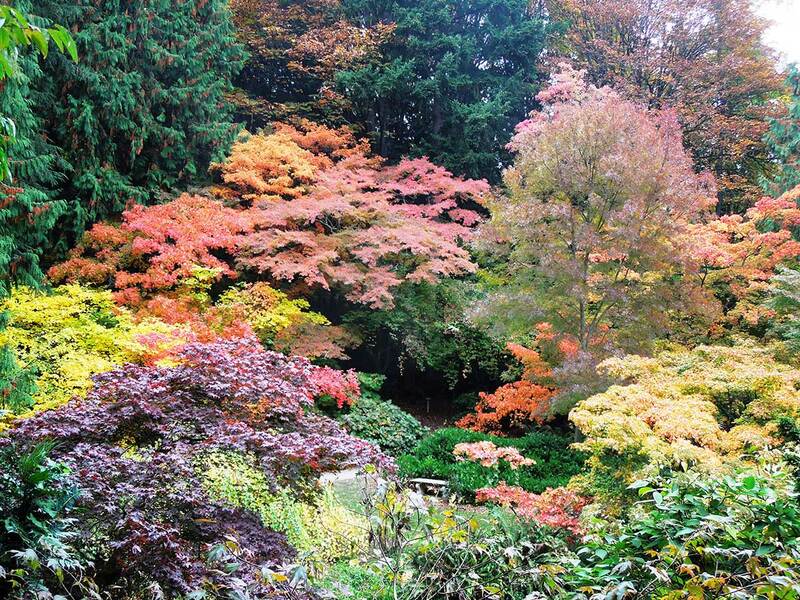 Founded in 1934, the arboretum houses one of the most important tree collections in North America. It’s an excellent place to fall in love with woody plants and to see how large a particular tree might become at maturity. Numerous trails loop through the arboretum, but its iconic path is Azalea Way, the original Olmstead-designed promenade flanked by flowering cherries and azaleas. During its peak in April and May, it is impossible not to be seduced by the soft pink blossoms of the cherries and the intoxicating scent of the azaleas. Before you succumb, be sure to visit again during another season. Are those cherries really so special now? If your own real estate is limited, instead of a flowering cherry you might consider a tree with a longer season of interest. The arboretum’s Joseph Witt Winter Garden is a thoughtfully arranged assemblage of plants that captivate during winter’s darkest days. With features such as interesting form, brilliant flowers, heavenly scent, peeling bark, and eye-catching foliage, many of the plants in the Winter Garden also have attributes that make them attractive year-round. The Woodland Garden houses much of the arboretum’s collection of Japanese maples. Maples and companion plants ascend the slopes on both sides of a stream that bisects the area. The Woodland Garden is a cacophony of fall color in October, but it’s exquisite in every season, as evidenced by the watercolorists who sit at their easels and try to capture this exquisite landscape. At the southern end of the arboretum, the Pacific Connections Garden features plants from five Pacific Rim regions: China, Chile, New Zealand, Australia, and our own area, Cascadia. 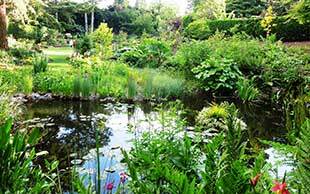 Each area has a preview garden where plants from that region are combined as you might enjoy them in your own garden. Leading from the preview gardens are “focal forests” that recreate actual forests from each region. In the case of Cascadia, the focal forest mimics what might be found in the Siskyou Mountain Range, which contains a broad array of plants from throughout the entire region of Cascadia. The Pacific Connections Garden is still under development, and it will continue to grow and change over the next several decades. The UWBG website has information on seasonal highlights and docent-led walks, along with directions and other information. 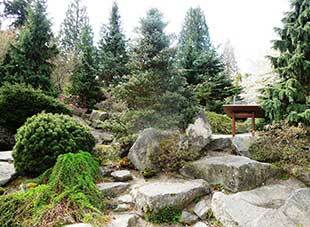 With the exception of the Japanese Garden, all parts of the UWBG are open to the public and free of charge. Like the UWBG, the Bellevue Botanical Garden (BBG) is free of charge and open from dawn to dusk 365 days a year. At 53 acres, there are garden areas for every need, interest, and aesthetic preference. Among the numerous displays are a rock garden, fuchsia garden, groundcover garden, waterwise garden, native garden, and contemplative garden. A “perennial” favorite, the Perennial Border demonstrates how perennials can thrive in our temperate climate. Bold colors unfold as you walk through this remarkable garden; deciduous trees and shrubs form a backdrop and connect the gardens to the surrounding woodland. 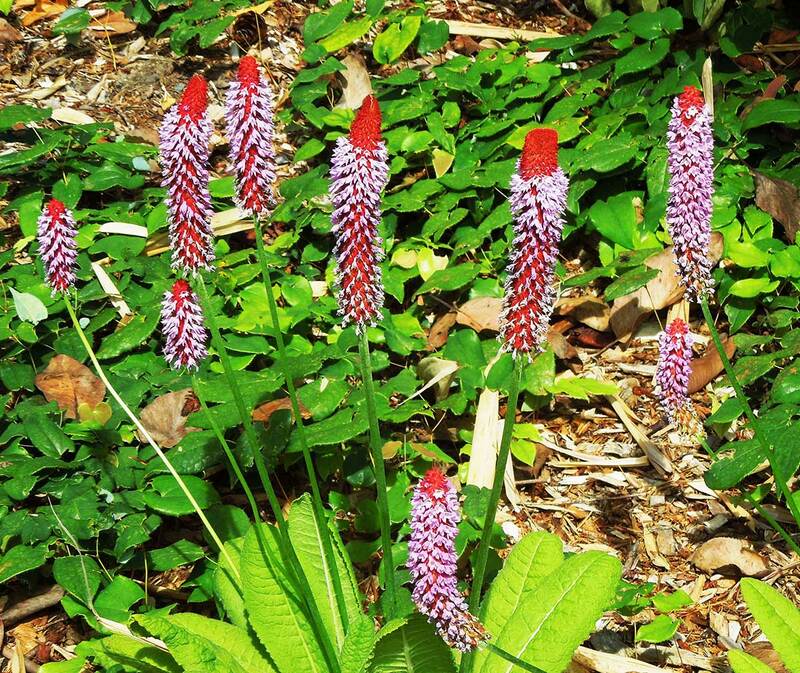 If you are interested in gardening with native plants, paths leading through restored woodlands and natural wetlands are sure to inspire. Visit the BBG website for more information on classes, lectures, and highlights. Located in a gated neighborhood in Shoreline, the Elisabeth Carey Miller Botanical Garden is arguably the most revered of our area’s public gardens, probably owing to its founder, Elisabeth (Betty) Miller, who herself was a force of nature. Although Mrs. Miller died in 1994, the famed garden she created lives on through the dedication and commitment of its excellent staff and volunteers. 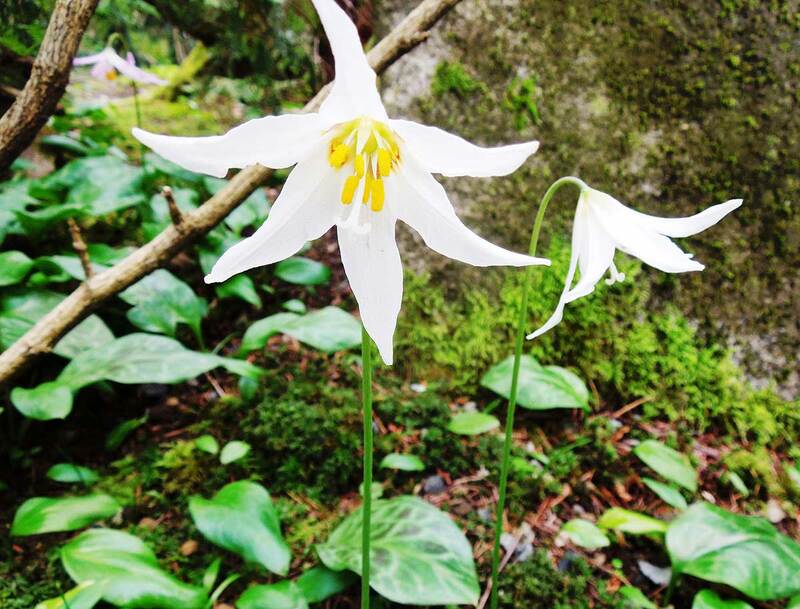 Sloping west to Puget Sound, the Miller Garden contains woodlands blanketed with ferns, trilliums, and ephemerals amid exotic shrubs and trees and towering native conifers. The path through a dry bank is flanked by plants from Mediterranean-like climates that were selected for captivating form and foliage color and texture, along with their ability to withstand drought. The Miller Garden has created a model for gardens in the Seattle area. Visits are by reservation only, and every garden tour for 2015 is already fully booked. Visit the garden website or contact the staff to find out when reservations will be taken for 2016. In Seattle, visit Broadview’s Dunn Garden; the Woodland Park Rose Garden on Phinney Ridge; Kubota Garden on Beacon Hill; the arboretum and Chinese Garden at South Seattle Community in the Delridge neighborhood; and Chihuly Garden and Glass in downtown Seattle. Just a short drive from Seattle are the Rhododendron Species Botanical Garden and PowellsWood Garden, both in Federal Way. Adding a ferry ride will take you to Bloedel Reserve on Bainbridge Island and Meerkerk Rhododendron Gardens on Whidbey Island. Because our region has an excess of botanical riches, some splendid candidates are inevitably overlooked. Botanic gardens offer much in the way of ideas and inspiration. If you feel overwhelmed when trying to transfer ideas from the gardens you visit to your own landscape, take pictures or write down what attracts you, then contact a landscape designer to help you incorporate these ideas into your own garden. And remember, there’s more to a garden than ideas and inspiration. Visiting them nourishes your mind, but it can also soothe your spirit.